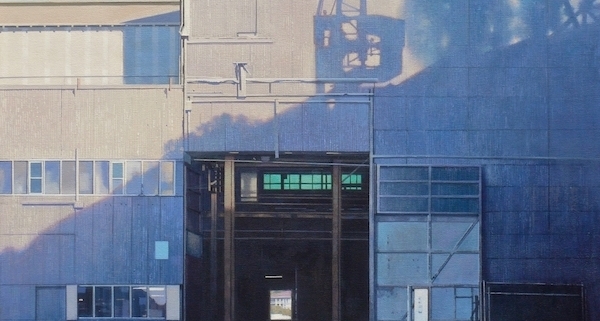 Jeff Rigby, ‘Shadows, Cockatoo Island’. Acrylic on canvas, 70 x 70cm. 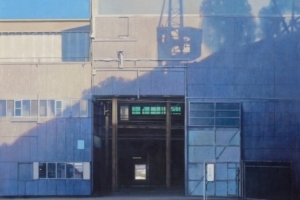 Places of Work: Sydney’s Industrial Heritage is an exhibition exploring Sydney’s legacy of fine industrial buildings. In the same vein of the modernist Bauhaus school unifying design, architecture and applied arts, this exhibition will feature painting, photography, sculpture, printmaking, textiles, drawings and jewellery, each in its own way honouring the making of Sydney. Artists: Adrian Boddy, Ro Cook, Anthea Fitzgerald, Stefan Lie, Jeff Rigby, Mark Stiles and Helen Wyatt.